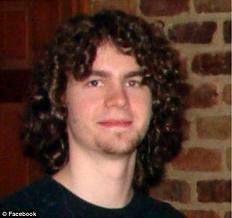 Originally from Richmond, VA, Ian Burnett, 22, was traveling to NYC to visit some friends on December 27, 2011 right before he went missing. Ian was staying at an apartment on 139th St. and Riverside Avenue, and was believed to last be seen on December 30, 2011. Ian’s father, Mike Burnet, stated his last contact with his son was via text message on December 27. Ian’s last known contact was with his roommate on December 30 around 4pm, right before he went missing. Authorities reported that Ian had left his cell phone before he disappeared, so he had no way of contacting friends or family after December 30. It is believed that Ian does have his ID and credit card on his person, although no transactions have been made. Ian comes from a good background with loving parents and no history of drug or alcohol abuse. He was attending Virgina Commonwealth University on a full engineering scholarship and graduated Valedictorian from his high school. His parents are confident that he can take care of himself, but also state that not hearing from him is out of the ordinary.